At long last, America can finally enjoy the brutal BAC Mono. The British-built BAC Mono is one of the best and most thrilling track cars money can buy right now. 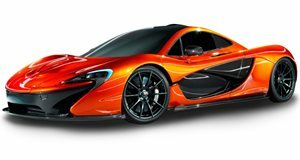 Its striking shape instantly turns heads, and while its 305 hp and 227 lb-ft specs may not sound particularly earth shattering, the fact it only weighs 580 kg means it can outpace a McLaren P1. It’s the very definition of a lightweight, street-legal racing machine. But if you wanted one and you lived in the US, you had to import one. Thankfully, that’s now about to change. Since launching in 2011, the BAC Mono was only available in the US via third party distributor Sector111 without any official aftersales service. Briggs Automotive Company (BAC) has now launched BAC USA to expand its operations in North America. A direct Original Equipment Manufacturer subsidiary is being set up in California, allowing for Monos to be assembled on US soil, as well as factory sales and maintenance services. Between eight and ten dedicated BAC US dealers will open within the next 12 months. At any rate, it should help boost the automaker’s profile, which currently has dealers in London and Japan. This is an incredibly exciting time for BAC with the launch of BAC USA,” said Mark Rayner, BAC's Chief Operations Officer and BAC USA President. “It’s the optimum time in the evolution of the North American market for BAC to enter the region as the OEM, and I’m very proud to be leading the operation. By offering factory presence in the US, buyers can benefit from added peace of mind and we can attract new customers to experience the Mono. “Our venture in the United States of America is born out of extensive industry research,” Company co-founder and Director of Product Development Neill Briggs added. “It’s the biggest and most informed supercar territory in the world, which is why it’s at the very top of our global sales strategy. BAC USA is another string to BAC’s bow and we’re looking forward to sharing the Mono dream across the Atlantic even more.” The most recent BAC Mono model comes with a four-cylinder 2.5-liter Mountune engine that produces 305 hp, which takes the 580-kg car from 0-60 mph in just 2.8 seconds.